Air conditioners have been an essential part of our lives ever since they were invented in 1902. 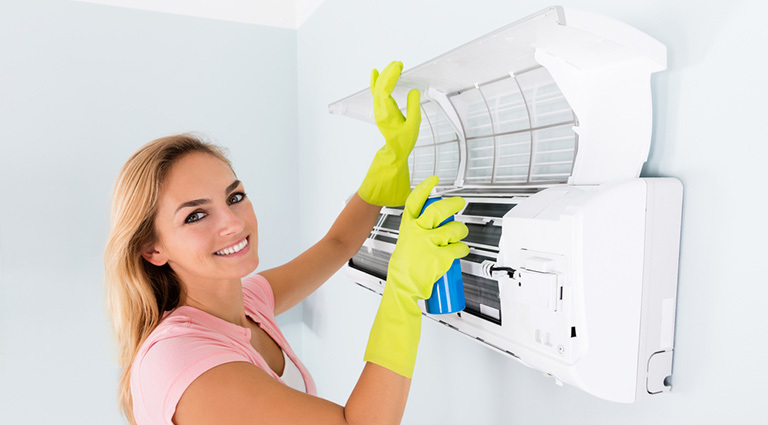 Similar to all other electronic devices, air conditioners need regular maintenance if they are to function perfectly. But unfortunately, many users lack the basic skills required for air conditioning service and so they often end up paying a lot of money to the serviceman that they could have otherwise saved with that knowledge. Contrary to the popular beliefs, air conditioners, no matter the type, actually do not require the skill of an expert technician like its needed when servicing a car or other delicate electronic devices. 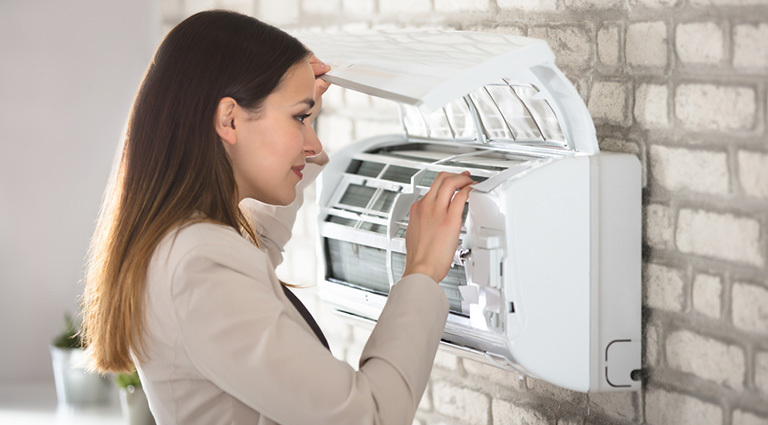 For this reason, many are quick to seek a new replacement at the first sign of trouble rather than making the effort to check the issues and service their air conditioners themselves. Firstly, air conditioners are built to last for a long time, usually between 6 and 8 years or even more if maintained regularly. Also, if your system isn’t functioning the way it used to do, this doesn’t mean the system is broken. Air conditioning systems may experience blockages due to dust and so they may not function as well as they used to. Discarding them is simply a waste of money. If you have the basic knowledge on how to perform an ac split maintenance on your cooling system you will think twice before discarding it for a new one. 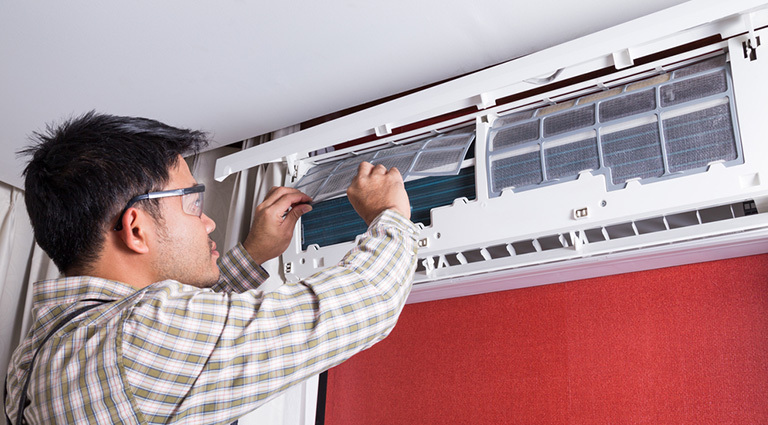 Also conducting regular ac yearly maintenance on a new unit will ensure that it lasts longer. These regular checks and maintenance can be done by a qualified expert and engaging one will help increase the lifespan of your air conditioner. Why Should You Service Your AC Regularly? 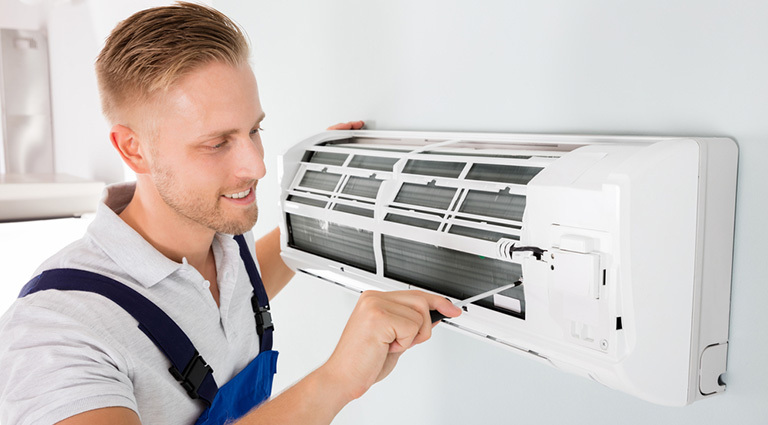 Regular servicing of your AC is essential to keep its performance at the optimum level and according to experts, your air conditioner loses 0.5% of its efficiency every year you fail to service it. Furthermore, after the 3rd year of operation without servicing it begins to lose a further 15% every year afterwards. This 14.5% drastic depreciation of your cooling device seriously damages its capacity to cool down your home. It is not uncommon to find users complaining about the sudden drop in performance of their air conditioners after just a few years and some call into question the ability and sincerity of the manufacturers. What most people fail to realize is that their failure to carry out regular air conditioner cleaning is to blame and not necessarily the quality of the system in particular. It also increases airflow which is essential in protecting those who suffer from dust allergy. The longevity of your system will be sustained if air conditioning service is carried out periodically. Regular servicing will correct problems and if left unchecked these problems could result in more serious damages which will be expensive to repair. It is common to find buildings and rooms flooded with water due to melting ice droppings. If a Mini Split Air Conditioner is not properly maintained this is bound to occur. How to Clean and Service Your Air Conditioner? You do not need to be a technical expert to conduct the basic air conditioning service. Follow these easy steps to get the best output from your air conditioning system. Remove the plug of the air conditioner. Disconnecting it from the power source is a key first step to avoid damaging the system or harming yourself. After disconnecting it from the power source, open up the filter or bezel of the unit if you want to carry out a thorough cleaning of the device. Spray the front coil of the air conditioner to rid it of dust. You can do this with special AC cleaning agents which can be bought from malls and technical stores. Carefully clean the filter thoroughly until it is dust-free. After cleaning the filter, carefully replace it and wait for about 10-15 minutes before restoring the power. Always endeavor to keep the surrounding environment uncluttered. Doing so will prevent dirt and other objects from blocking the filters when the AC is on. Turn on the air conditioner after the allotted time. First you will need to turn off the unit and have it disconnected from the power source. It is necessary to check on the outdoor coils for dust and debris which may have clogged it. If the outdoor coil is clogged the air conditioner will not work as well as it should. If the outdoor coil is dirty you ensure you clean it properly too. Rinse the foaming cleanser with a garden hose thoroughly. An AC’s foaming cleanser is responsible for filtering air so cleaning it thoroughly will ensure safer and cleaner air when the AC is in use. After replacing the cleanser reconnect the power and test. When on, inspect the thermostat to be sure it is working perfectly. Once a year endeavor to hire a professional to carry out a Split ac maintenance on your system. The professional will inspect and service every component by performing checks on the blower, the motor, drain lines, operating pressures, coils, temperature and refrigerant levels. No air conditioning system is built to last forever, so endeavor to check for the lifespan of your air conditioner before you commence usage. This information is provided by the manufacturer and can be found in the system’s instructional guides. This will help you plan towards buying a new system when the time arrives. How to Prevent Ice in a Mini Split Air Conditioner? Make sure you do not set the thermostat too low: When your split unit system is running the heat transfer in the evaporator core freezes the moisture around it. If the evaporator core gets no time to warm, the tiny moisture around it will freeze thus forming ice. Inspect the air filter: A clogged filter will hinder the performance of the split unit so endeavor to clean the filter as often as you can. Keep track of the unit’s lifespan: Ensure that the unit is not too old and if it is you will have to change it. Check the room temperature: If the filter is clean and room temperature is extremely low the problem will persist so ensure that the temperature levels are stale. – Cleaner air and safety from allergic reactions caused by air pollution. – You can also save on the extra cost of conducting expensive repairs caused by irregular maintenance. 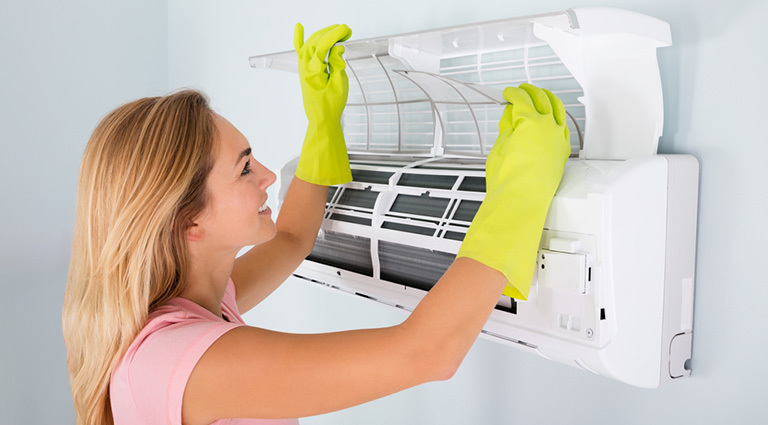 Thanks for the advice on what air conditioning maintenance can be handled by yourself, such as cleaning the filter thoroughly and keeping the surrounding environment free of dirt and other clutter. I also like your advice to hire a professional yearly so they can inspect the system and provide any necessary repairs or other services. 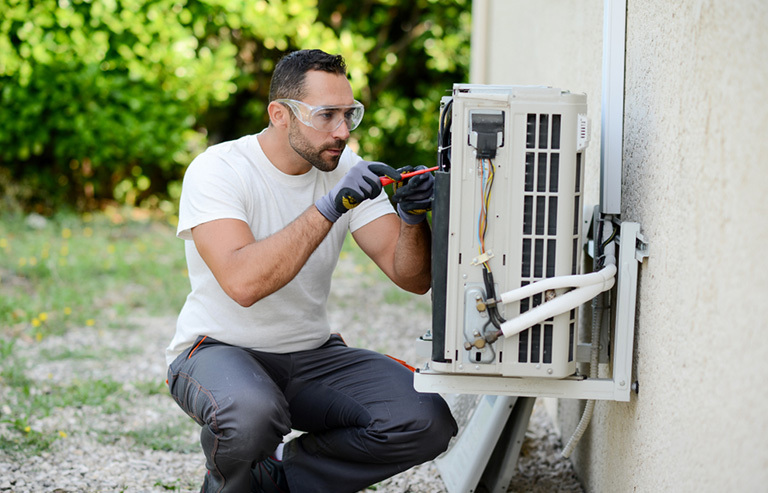 A great way to do this at least once a year would be to find a qualified air conditioning contractor who is local and reliable so you can trust them to come and provide the best services to help your system stay in good condition.